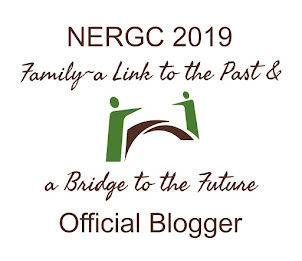 THE DEMANDING GENEALOGIST: Conflicting Evidence: What Is It? Demanding quality in genealogy since 1984. Conflicting Evidence: What Is It? A document contains “evidence” only in terms of your research question. If your question is, “Was Charles the father of Barbara?” then Barbara’s birth certificate will contain direct evidence by naming her father. On the other hand, Barbara’s APG membership card will have little evidentiary value in answering that question. Evidence is “direct” if it provides an answer to the research question. Everyone’s favorite example of this is a household group in the 1880 federal census in which relationship to the head of household is stated. Evidence is “indirect” if it can be used to support an answer in a subtle way. Everyone’s favorite example of indirect evidence is a household group in the 1850 federal census. For example, if Barbara was a one-year-old youngster living in the household of Charles in 1850, we could conclude that the household structure does not preclude Barbara as a child of Charles. If they were related, this is just what we would expect to find. However, the census makes no direct statement about relationship and such a household structure could come about in other ways. We have to live with ambiguity in the 1850 census as it does not provide a direct "yes or no" answer to the research question. Evidence is “conflicting” when two documents provide completely different answers to the research question. I once had an audience member tell me that she had a situation in which the death date on the gravestone and the death date in the vital records were different. She asked me which one she should ignore. I wasn’t horrified by the question. In fact, it was familiar. In my early days as a genealogist, this was how I approached conflicting evidence. I wanted to know which date was right and which date was wrong. After a few decades of experience, I now understand that it is a bad idea to bury conflicting evidence. If I write about an event as if that conflicting evidence doesn’t exist, then future researchers will be confused. They will find that evidence just as I did and they will doubt the depth of my research or the credibility of my conclusions as a result. Even worse, I might be wrong in my conclusion about which piece of evidence to keep. Therefore, we keep all the evidence we find. I like to make comments in footnotes about conflicting evidence and why I didn’t use it. That lets readers know my thought process and helps in the long run for all of us to come to reliable conclusions. Nice clear explanation! Thanks Barbara! Thank you Barbara! This is a great clear explanation of a topic that can sometimes become a bit difficult. Good point about not burying conflicting evidence but explaining it in the footnotes instead. Thank you. How have I missed this blog Barbara? Without acknowledging and exploring conflicting evidence, we would never break down brick walls. Thank you for a great post on evidence! Thanks for posting this! I'll be referring this one to.newbies I meet. I really like these posts on evidence and always making findings transparent. How Do We Notice Conflicting Evidence? Homer and Charry: Can We Do Better? Copyright © Barbara J. Mathews. Photographs provided by Microsoft Office unless otherwise noted. Simple theme. Powered by Blogger.